Congratulations to tour winner Manuel P. and to host winners Bookaholic and Kit'n'Kabookle. 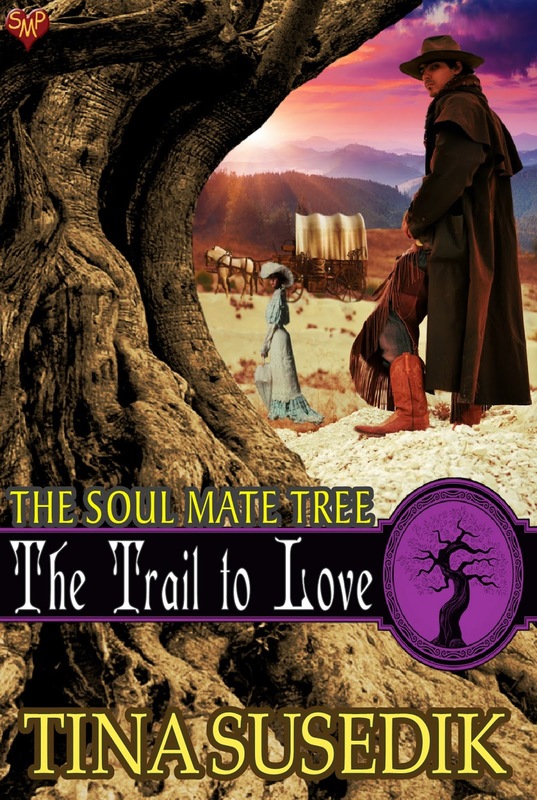 Goddess Fish Promotions is organizing a Virtual REVIEW ONLY Tour for The Trail to Love by Tina Susedik, a 170 page Historical Romance available now from Soul Mate Publishing. The tour will run every Wednesday for 4 weeks starting on May 2, and the book is available in PDF format. Tina Susedik will be awarding a $10 Amazon or Barnes and Noble GC to a randomly drawn winner via rafflecopter during the tour, and a $10 Amazon or Barnes and Noble GC to a randomly drawn host. Because this is a review tour, GFP will award a randomly drawn host a $5 Amazon GC.